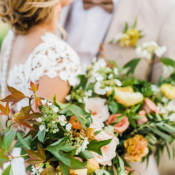 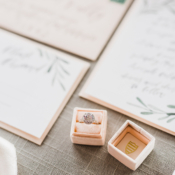 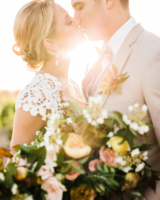 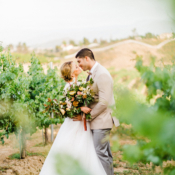 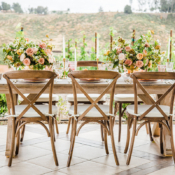 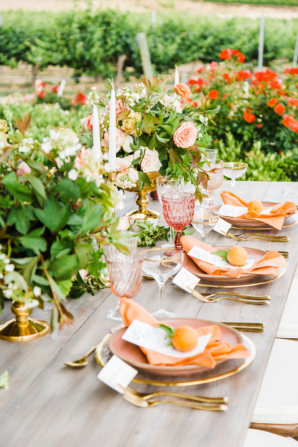 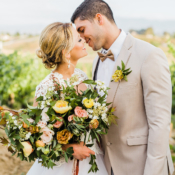 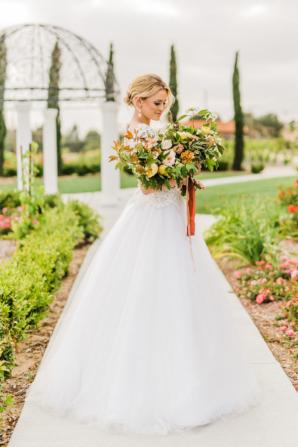 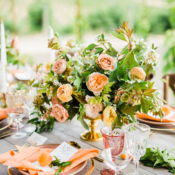 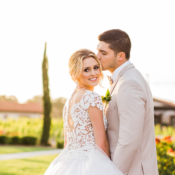 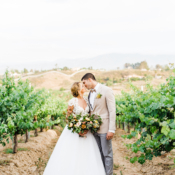 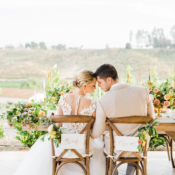 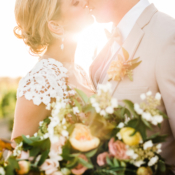 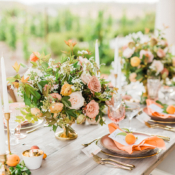 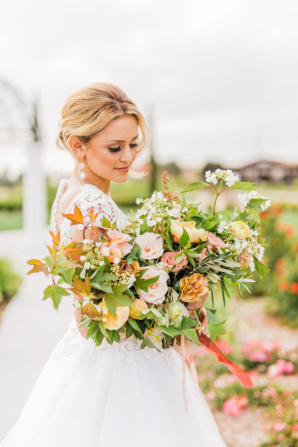 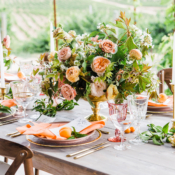 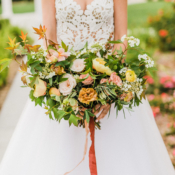 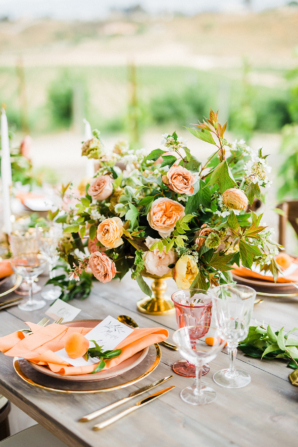 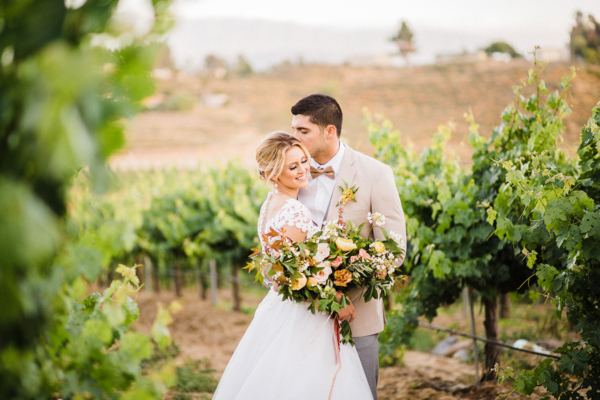 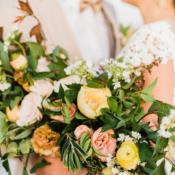 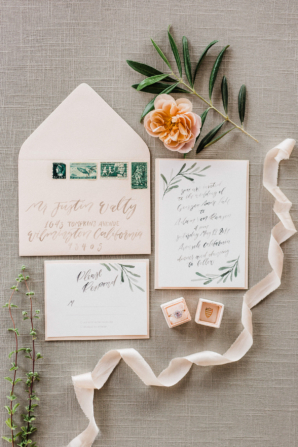 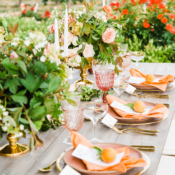 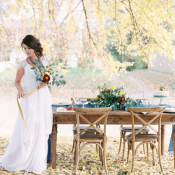 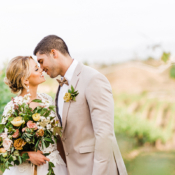 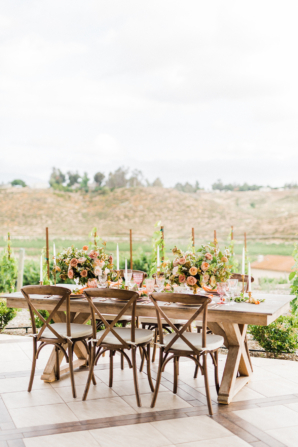 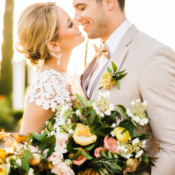 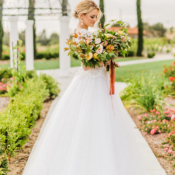 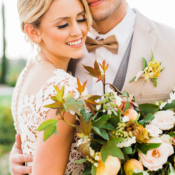 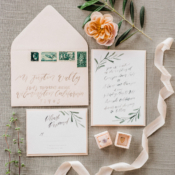 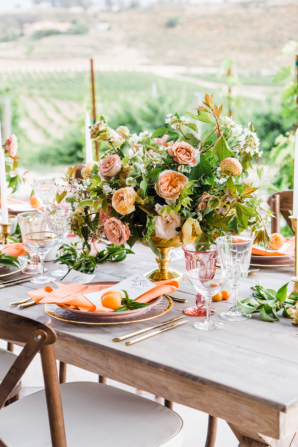 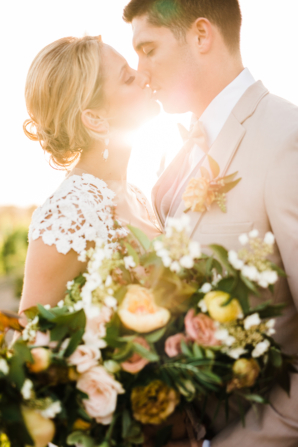 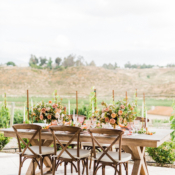 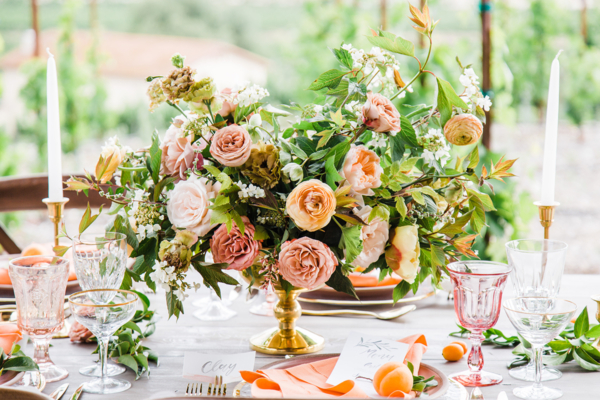 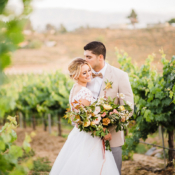 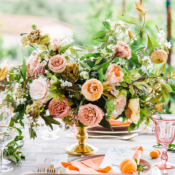 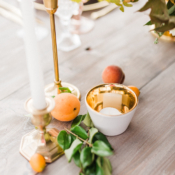 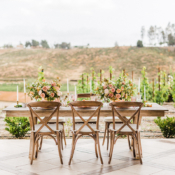 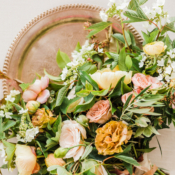 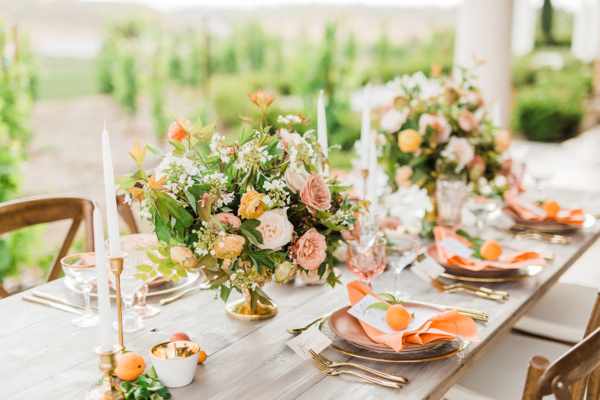 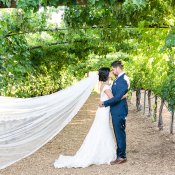 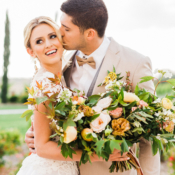 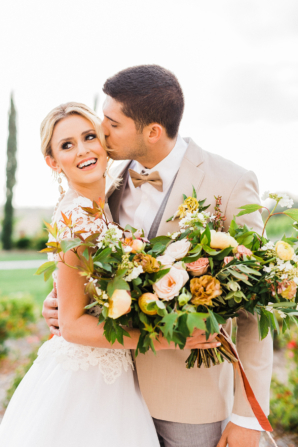 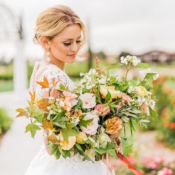 With sunset tones and a romantic summertime feel, this Southern California wine country inspiration designed by Michelle Garibay Events is pure rustic elegance! 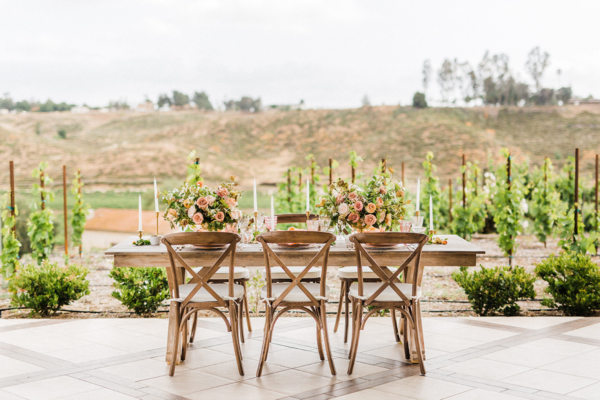 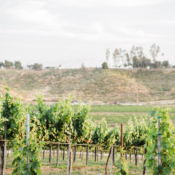 Avensole Winery and the rolling hills of Temecula set the scene. 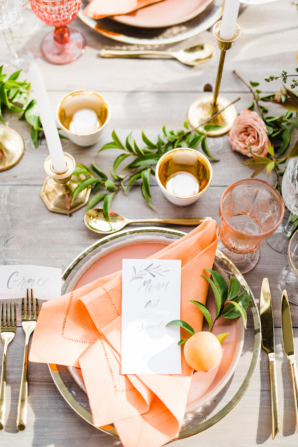 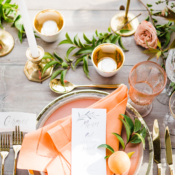 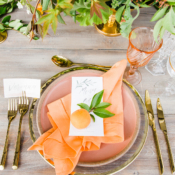 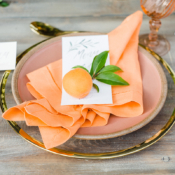 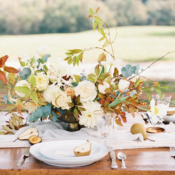 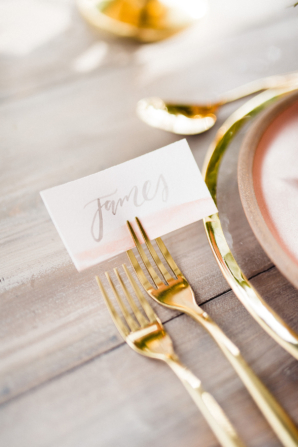 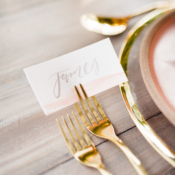 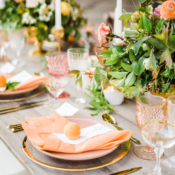 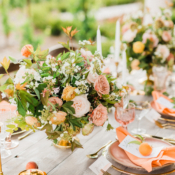 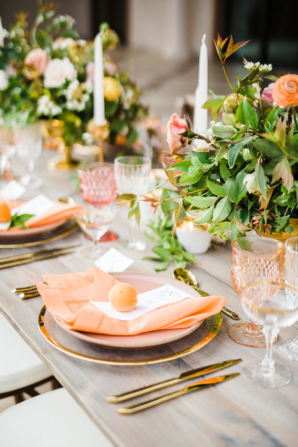 The combination of the rustic wood tables and chairs with soft florals by Modern Bouquet and elegant place settings play perfectly with brushed watercolor stationery from Four Things Paper and fresh peach napkins from Mod Mix Studio. 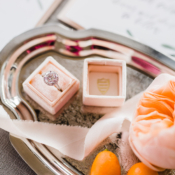 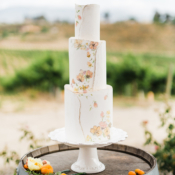 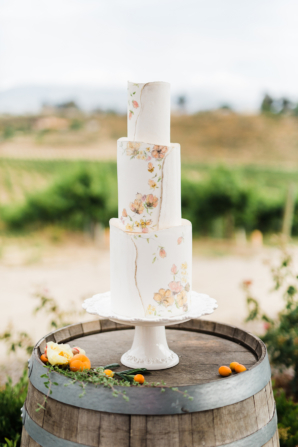 Head over heels for each of the intricate details, from gold flatware to flowing ribbon, the exquisite cake by Laura Marie’s, and all of the gorgeous images by Damaris Mia Photography!